Army Wives is an American drama series that follows the lives of four army wives, their families, and an army husband whose wife is in the army. The series, shot at ABC Studios, premiered on Lifetime on June 3, 2007. 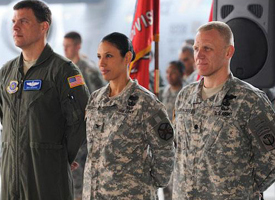 Q1: When will the season 6 of Army Wives air? I finished all the seasons 1-5 on Army Wives DVD, and I thought it is a nice show for watching so I have been waiting for the season 6 for a long time. I wonder when the show will on air! 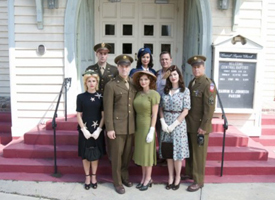 A1: Hi there, it is said that the Army Wives season 6 will premiere on September 18, 2012 and it will divided into two parts! 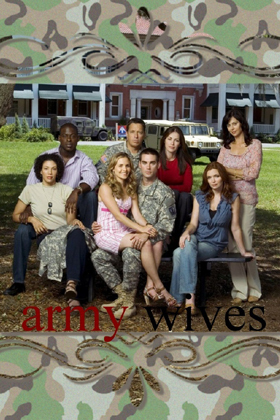 Q2: How many seasons of Army Wives are there? I am very pleased with the DVD. 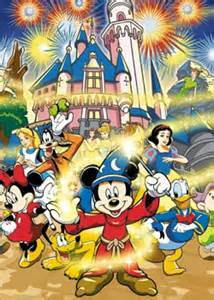 I have finished all the 5 seasons and it is fun to go back and see all of them again. Can't wait for the 6th season. I was raised in a military family and this series is so close to the actual crazy chaotic always active lifestyle that I remember. So often shows about military never show how things are for the family that is waiting at home for their soldier to return.keeps you interested and anxious for the next episode. Great addition to any DVD collection. Army Wives is an excellent movie about lives of deployed soldiers. I enjoyed the series so much, I plan to own each season. It describes in great detail the challenges I face and have faced in real life as a deployed soldiers wife. I love the characters they have chosen for this series. I can honestly say this series has brought tears to my eyes many times.